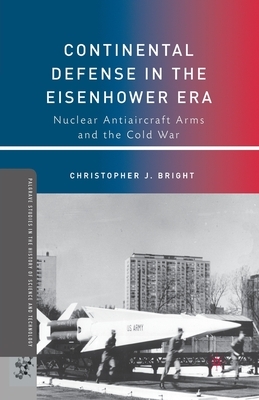 Thousands of nuclear antiaircraft arms were designed, tested and deployed in the United States during Dwight D. Eisenhower's presidency. These Army "Nike-Hercules" missiles, Air Force "Genie" rockets, and "BOMARC" and "Falcon" missiles were meant to counter a raid by attacking Soviet bombers. U.S. policy makers believed that the American weapons could safely compensate for technological limitations which otherwise made it difficult to destroy high flying, fast moving airplanes. Continental Defense in the Eisenhower Era traces this armament from conception through deployment. Bright recounts official actions, doctrinal decisions, and public policies. It also discusses the widespread acceptance of these weapons by the American public, a result of being touted in news releases, featured in films and television episodes, and disseminated throughout society as a whole. CHRISTOPHER J. BRIGHT is an independent scholar of twentieth-century American political and diplomatic history.